Recently, MIT Press published Catherine Brady's biography of Elizabeth Blackburn--Elizabeth Blackburn and the Story of Telomeres: Deciphering the Ends of DNA. Blackburn is famous among biologists as the leading researcher in the study of telomeres. Telomeres are those regions of DNA that cap the ends of chromosomes. As cells divide, these telomeres tend to shorten, and eventually this shortening of the telomeres leads to the death of the cells. Some cells--such as cancer cells--continue dividing endlessly because of the enzyme telomerase that slows the shortening of telomeres. Blackburn's research on telomeres has become important both for aging research and cancer research. In the fall of 2001, when President Bush established his Council on Bioethics with Leon Kass as the Chair, Blackburn was appointed as one of the original 17 members. Although Kass was careful to appoint members who would generally support Bush's political agenda--particularly, his opposition to embryonic stem cell research--Blackburn emerged as one of a group of four members who argued with Kass and criticized the President's agenda. Brady recounts this controversy, with a clear bias towards Blackburn and without much intellectual depth. Blackburn herself is a great scientist, but she lacks any understanding of the deep philosophic implications of the debate surrounding Kass and the Council. For example, she was baffled by Kass's assertion that there is "a disjunction between the way science understands things and the way human beings on the plane of human experience understand things" (p. 280 in Brady's book). Blackburn was unfamiliar with the intellectual legacy of Kass as influenced by Martin Heidegger, Jacob Klein, Leo Strauss, and Hans Jonas--particularly, the legacy of phenomenological philosophy and its account of early modern science as abstracting from the common sense experience of human beings for the sake of fostering a technological conquest of nature. The serious flaws in Kass's reasoning arise from his dubious assumption that Descartes's materialist reductionism "sets the program of all modern science" and his failure to see how Darwinian biology refutes Cartesianism. Some of my blog posts on these points can be found here, here, and here. I also have an entry on the President's Council on Bioethics in the Encyclopedia of Science, Technology, and Ethics (4 vols., 2005) and a chapter on Kass and biotechnology in Darwinian Conservatism. Some of the material in the book chapter can also be found in my article for The New Atlantis (summer 2003), which can be found here. In May, I will be directing a Liberty Fund colloquium in New Orleans on "Biotechnology and Liberty." We will be reading Beyond Therapy: Biotechnology and the Pursuit of Happiness, one of the reports of the President's Council edited by Kass, and Ron Bailey's Liberation Biology: The Scientific and Moral Case for the Biotech Revolution. There is a good debate between these two books. Kass's book reflects neoconservative fears about the dehumanizing effects of trying to use biotech to conquer nature for human benefit. Bailey's book is a libertarian defense of biotech as a tool for advancing human liberty through the scientific mastery over nature. Ben Stein has made a documentary movie--"Expelled: No Intelligence Allowed"--criticizing universities for suppressing the academic freedom of those promoting "intelligent design" as an alternative to Darwinian biology. Although the movie will not be released for public viewing until April 18, it is already creating controversy because critics charge that it's a biased piece of propaganda advancing "intelligent design theory." Today's Inside Higher Ed has published an article on the movie by Andy Guess, who interviewed me for the article. Unfortunately, he doesn't make clear in the article that I argue for allowing university students to have an open debate in their biology classes over Darwinism and "intelligent design theory." But my argument is set forth in an article published by Inside Higher Ed a few years ago, which can be found here. The $100 million HBO mini-series on John Adams has prompted questions as to why this most-neglected of America's Founding Fathers has now suddenly become famous. I have personal reasons to agree with the conclusion in the recent issue of The Economist that "sometimes short bald men are right"! But what was he right about? In Darwinian Conservatism, Adams is prominent in the chapter on "Limited Government." In that chapter, I suggest that in some ways, Adams was the deepest thinker among the American Founders. He was an intensely ambitious man. But he was also a well-read scholar and serious thinker who understood that the ambition of the sort of people who strive for power would become tyrannical if it was not properly channelled. He understood that in every society, there will be a rivalry for power between those few who want to be dominant, while the multitude of people will look to the leadership of the few, even as they resist being exploited by the ambitious few. Adams indicated that this structure of rule--the one, the few, and the many--could be found among many animals with dominance hierarchies. And in my chapter, I suggested that his political anthropology was confirmed by modern ethological studies of "chimpanzee politics." From his reading of political philosophy--from Aristotle to Cicero to Machiavelli to Adam Smith--and from his own political experience, Adams rightly concluded that the best form of government was a "mixed regime" that allows the few to strive for dominance, with one person rising to the top, but with a system of divided powers balanced against one another so that no one person or group can become despotic. I argue that studies of primate politics confirms the practical wisdom of Adams' political thought. If the HBS television series turns the attention of the public to Adams, and if it directs a few serious readers to read Adams writings (including the Massachusetts Constitution of 1780) and biographies of Adams like that by David McCullough, this could promote a renewed appreciation for Adams' argument for balanced government, which figures prominently in Darwinian conservatism. 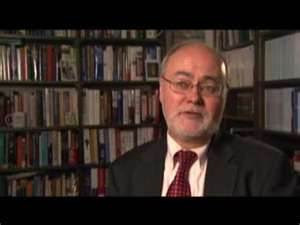 Recently, the John Templeton Foundation announced that the 2008 Templeton Prize for Progress Toward Research or Discoveries about Spiritual Realities will be awarded to Michael Heller, a Catholic priest and cosmologist at the Pontifical Academy of Theology in Krakow, Poland. The prize brings an award of $1.6 million dollars. This is part of the Templeton Foundation's extensive sponsorship of work in science and religion. "Adherents of the so-called intelligent design ideology commit a grave theological error. They claim that scientific theories that ascribe a great role to chance and random events in the evolutionary processes should be replaced, or supplemented, by theories acknowledging the thread of intelligent design in the universe. Such views are theologically erroneous. They implicitly revive the old manicheistic error postulating the existence of two forces acting against each other: God and an inert matter; in this case, chance and intelligent design. There is no opposition here. Within the all-comprising Mind of God what we call chance and random events is well composed into the symphony of creation." I made a somewhat similar point in my chapter on "intelligent design" in Darwinian Conservatism. "Intelligent design theory" denies Christian theology by assuming a Gnostic antagonism between natural order and divine intelligence. It assumes a dichotomy such that either living beings evolved or they were intelligently designed. William Dembski's "explanatory filter" posits that if we can explain something as a product of natural regularities, then we cannot attribute this to design. But Christian theology would say that everything is intelligently designed by God--either through His design of natural laws (including evolution) or through His designing things outside His natural laws. For that reason, many Christian scientists believe that if all living things could be explained as products of Darwinian natural evolution, this would be a wondrous manifestation of God's power for intelligently designing natural laws to execute His purposes. Whether God works through the ordinary laws of nature or through extraordinary miracles, it's all an expression of His intelligent design. From the point of view of Christian theology, Darwinian evolution is intelligent design. In contrast to people like John Finnis, I believe that the Aristotelian and Thomistic tradition of ethical naturalism is rooted in a biological understanding of human nature. A few years ago, Alasdair MacIntyre took a similar position despite his earlier disagreement. In his remarkably influential book After Virtue (1981), MacIntyre tried to defend an Aristotelian and Thomistic view of ethics as founded on the moral and intellectual virtues. But he insisted that his ethical view did not depend on Aristotle's "metaphysical biology." Almost twenty years later, in Dependent Rational Animals (1999), he conceded that "I was in error in supposing an ethics independent of biology to be possible." He generously referred to my Darwinian Natural Right as an influence on his change of mind. He had decided that we cannot explain how we develop into moral beings unless we explain how our biological nature as animals makes such a form of life possible for us. He also observed that denying or denigrating our bodily nature as animals obscures our natural vulnerability and dependence. MacIntyre went on to argue that the Aristotelian and Thomistic understanding of the animal nature of human thought and action is confirmed by Darwinian biology. But for some strange reason my absolutely conclusive arguments have not persuaded all of the scholars of Thomistic natural law. In particular, Craig Boyd has challenged my position. His reasoning is laid out in an article--"Was Thomas Aquinas a Sociobiologist? Thomistic Natural Law, Rational Goods, and Sociobiology," in Zygon (September 2004)--in a book chapter in Evolution and Ethics (edited by Philip Clayton and Jeffrey Schloss, 2004), and in Boyd's recent book A Shared Morality: A Narrative Defense of Natural Law Ethics (2007). Boyd contends that "although much of natural law morality is clearly rooted in human biology, Arnhart's claim that the entirety of human morality is merely biological certainly cannot be supported by natural law morality." The natural morality of the natural inclinations to self-preservation, conjugal bonding, parental care, and social life is rooted in animal nature. But "the human ability to deliberate, judge, and guide activities transcends animal nature." As uniquely rational animals, human beings have "rational goods" that transcend human biology. "Since good has the idea of an end, and evil the idea of a contrary, all those things to which a human being has a natural inclination reason naturally apprehends as good, and consequently as objects to be pursued, and the contraries of these as evil and to be avoided. Therefore, the order of the precepts of the natural law is according to the order of the natural inclinations. For there is first in a human being an inclination to good according to the nature which he shares with all substances: insofar as every substance seeks the preservation of itself accroding to its own nature. And according to this inclination, those things through which human life is preserved and threats to life avoided belong to the natural law. Secondly, there is in a human being an inclination to some things more special to him according to the nature that he shares with other animals. And accroding to this inclination, it is said that those things are of natural law 'that nature has taught all animals,' such as the joining of male and female, the education of children, and similar things. In a third mode, there is in human being an inclination to good according to the nature of reason, which is proper to him: thus a human being has a natural inclination to know the truth about God, and to live in society. And according to this inclination, those things that pertain to this kind of inclination belong to natural law: for example, that a human being avoid ignorance, and that he not offend those others with whom he must live, and other such things that pertain to his inclination" (I-II, q. 94, a. 2). Boyd agrees with me that the first two levels of natural human inclinations are shared with other animals, and therefore they are rooted in biological nature, and they are open to study by Darwinian science. But he disagrees with me by arguing that the third level of natural inclinations--based on the uniquely human capacity for reason--transcends human biology. In reply to Boyd, I say that his reading of Aquinas confuses "natural law" with "divine law." Natural law, Aquinas believes, guides human beings in pursuit of their natural ends--earthly happiness. But insofar as human beings are directed to supernatural ends--heavenly beatitude--they need the divine law of Biblical revelation. This supernatural or divine law transcends the capacity of human nature. But natural law is fully within human nature (I-II, q. 91, a. 4). In distinguishing the various levels of natural law, Aquinas identifies the "generic nature" that human beings share with other animals, the "specific nature" that they share with other members of the human species, and the "temperamental nature" unique to particular human individuals (I-II, q. 46, a. 5; q. 51, a. 1; q. 63, a. 1). Aquinas draws this three-leveled analysis from Aristotle's biology. Darwinian biology employs the same analysis in that some human traits are shared with other animals, some are unique to human beings, and some are unique to particular individuals. Boyd stresses the human uniqueness of "the human ability to deliberate, judge, and guide activities." But, of course, Darwin recognizes this as well: human beings have a natural ability to deliberate about their desires in the light of past experience and future expectations that makes human beings unique in their morality. This uniqueness does not "transcend animal nature," because it is part of the uniquely human animal nature. Human beings have mental capacities that emerge from the evolution of the brain that give them a unique freedom to deliberate about their conduct and to freely choose between alternative courses of action. I take this up in various parts of Darwinian Natural Right and in the chapter on "Emergence" in Darwinian Conservatism. But what should one say about Aquinas's reference to the "natural inclination to know the truth about God"? Does this show a transcendence of human biological nature? I would say that Aquinas understands the "natural desire to know God" as fully within human nature and natural law in a manner that can be accounted for by Darwinian naturalism. A serious study of Aquinas on this point would require some study of passages scattered throughout the Summa Theologica (I, q. 12, a. 1; I-II, q. 3, a. 8; q. 99, a. 3; II-II, q. 81, a. 5; q. 85, a. 1) and Summa Gentiles (I, 11; III, 25, 50-51, 57, 119). As I read it, this "natural inclination to know the truth about God" corresponds to what I have identified as the natural desire for religious understanding. The natural rationality of human beings inclines them to seek the causes of everything, even to the point of asking for the first cause or ultimate explanation of everything. Why is there something rather than nothing? Why is nature ordered as it is and not differently? If we do not accept the order of nature as a brute fact--That's just the way it is!--we might ask for the uncaused cause of all natural causes, and that would lead us to God as First Cause. This is Aquinas's natural theology. From natural effects, we can reason our way to God as the First Cause. But this purely natural inference of human reason cannot take us to the essence of God. For that, we need revelation. Darwin acknowledged that when we ask about the first cause of life or of the universe as a whole, we reach the limits of human reason, and this leaves an opening for God as Creator or uncaused cause. This yearning to explain everything is a uniquely human desire, but it is still part of human biological nature insofar as it expresses a natural desire for understanding that arises from the emergent powers of the human brain. I have written a paper elaborating my responses to the various criticisms of my argument for Thomistic natural law as Darwinian natural right. On this blog, I have often argued that theistic evolution is compatible with evolutionary science. Although there are Darwinian atheists like Richard Dawkins, their atheism is not dictated by Darwinian science, which is open to the possibility that God acted as First Cause in using an evolutionary process to carry out his will. C. S. Lewis--perhaps the most famous Christian apologist of the twentieth century--was a theistic evolutionist. In his writings, he identified the Creation story in the book of Genesis as a "myth" or "Hebrew folk tale" that should not be interpreted literally. That God created everything and created human beings in His image was true, but the natural process by which this occurred was not specified in the Bible, and it could have occurred by an evolutionary process. Lewis accepted the traditional doctrine of the Fall. Although it is sometimes asserted that the evolutionary account of human beings as evolving from lower animals and from primitive proto-human ancestors denies the Fall, Lewis denied this. "For long centuries God perfected the animal form which was to become the vehicle of humanity and the image of Himself. He gave it hands whose thumb could be applied to each of the fingers, and jaws and teeth and throat capable of articulation, and a brain sufficiently complex to execute all the material motions whereby rational thought is incarnated. The creature may have existed for ages in this state before it became man: it may even have been clever enough to make things which a modern archaeologist would accept as proof of its humanity. But it was only an animal because all physical and psychical processes were directed to purely material and natural ends. Then, in the fullness of time, God caused to descend upon this organism, both on its psychology and physiology, a new kind of consciousness which could say 'I' and 'me,' which could look upon itself as an object, which knew God, which could make judgements of truth, beauty, and goodness, and which was so far above time that it could perceive time flowing past. This new consciousness ruled and illuminated the whole organism, flooding every part of it with light, and was not, like ours, limited to a selection of the movements going on in one part of the organism, namely the brain. Man was then all consciousness." This original "Paradisal man" is not detectable by the natural fossil record, because "judged by his artefacts, or perhaps even by his language, this blessed creature was, no doubt, a savage." This original specific nature was lost when man fell though some act of pride. "Thus human spirit from being the master of human nature became a mere lodger in its own house, or even a prisoner, rational consciousness, became what it now is--a fitful spot-light resting on a small part of the cerebral motions." Although Lewis was critical of evolutionists who falsely claimed that evolutionary science dictated atheism, he saw no necessary conflict between his Christianity and evolutionary science. It is true, however, that towards the end of his life, he was somewhat influenced by his correspondence with Bernard Acworth, a creationist anti-evolutionist who tried to persuade Lewis to become an opponent of evolution. But there was no change in his published writing on creation and evolution. A survey of Lewis's correspondence with Acworth can be found here. In his book The Language of God, Francis Collins--the head of the Human Genome Project--indicates that reading C. S. Lewis was a crucial point in his journey from atheism to Christianity. He decided that science and Christian faith were compatible. In the section of his book explaining why he accepts theistic evolution, he quotes the same passage I just quoted from Lewis about divinely guided evolution. Collins defends theistic evolution--or "BioLogos" as he calls it--as superior to the alternatives--atheism, creationism, and intelligent design. Today, I am going to Indianapolis to be the discussion leader for a Liberty Fund conference on James Coolidge Carter's book Law: Its Origin, Growth, and Function. Carter was one of the most prominent American lawyers at the end of the nineteenth century. He wrote his book as a series of lectures to be delivered at Harvard Law School in 1905, although he died before he could deliver the lectures. Carter's primary argument is that all law is ultimately rooted in custom. In defense of customary law, he argues against attempts to codify the rules of common law and thus replace unwritten law with the written law of statutory legislation. He thus opposes proponents of "positive law"--like Jeremy Bentham and John Austin--who claim that all law is ultimately made by command of the sovereign lawmaker. He also opposes proponents of "natural law"--like Cicero and William Blackstone--who claim that all law is ultimately discovered as part of the natural order of things. But even as Carter elevates customary law over both natural law and positive law, he implicitly concedes the partial truth in the natural law and positive law positions. The order of custom evolves from the natural dispositions and capacities of human beings as they discover over long periods of time the customary norms of social order. And along the way, human beings learn how to deliberately design rules of order that perfect the evolutionary tendencies of human nature and human custom. Carter thus moves towards a view of social and legal order as rooted in nature, custom, and reason, which conforms to what I have proposed as the three levels of order in which custom is constrained by nature, and reason is constrained by both nature and custom. This is implicit in Darwin's account of the evolution of human morality as rooted in the complex interaction of natural evolution, cultural evolution, and deliberate choice. The evolutionary character of Carter's jurisprudence becomes clear when he acknowledges his debt to Alexander Sutherland's book The Origin and Growth of the Moral Instinct. Sutherland indicates that his book elaborates the reasoning of Darwin in The Descent of Man to explain the evolution of the moral sense. Traditionally, the philosophy of law has been divided into competing intellectual camps defending natural law, customary law, or positive law as the ultimate ground of all law. An evolutionary jurisprudence would reconcile these opposing positions by showing how they each represent a partial truth, because a full account of legal order requires a complex interaction of nature, custom, and reason. I have tried to sketch such an evolutionary jurisprudence in various parts of Darwinian Natural Right and Darwinian Conservatism. In a comment on my previous post on Ayn Rand and evolution, Neil Parille refers to his essay on "Ayn Rand and Evolution." The article provides a good survey of Rand's scattered remarks on evolution. Saying that she was neither a supporter nor an opponent of the theory of evolution, Rand's comments are confusing and incoherent. Rand said that "rights are conditions of existence required by man's nature for his proper survival." She rooted this conclusion in the idea that only living organisms can have values because only they show self-generated, goal-directed action. "An organism's life is its standard of value: that which furthers its life is the good, that which threatens it is the evil." Moreover, "since reason is man's basic means of survival, that which is proper to the life of a rational being is the good; that which negates, opposes or destroys it is the evil." This and other comments suggest that Rand's ethics is rooted in a biological teleology of human nature. As I have suggested in my previous post, Harry Binswanger develops this Randian idea in his book The Biological Basis of Teleological Concepts. But as Parille indicates, Rand herself was unclear about whether she accepted biological evolution. Oddly enough, although Rand was an atheist, she assumed that man transcended biological nature, and this transcendence sounds a lot like the Christian conception of human beings as set apart from the natural world. Here she resembles Nietzsche in his atheistic religiosity--denying Christianity even as he appropriated the Christian language of "exaltation" and "redemption." Moreover, Rand's suspicion of biological evolution seems to assume a "blank slate" conception of human beings that contradicts her appeal to human nature. This is strange because the "blank slate" idea was the basis for the collectivist vision of the radical malleability of human nature, and it was this vision that Rand challenged. This semester, I am teaching a graduate seminar on "American Political Novels." Right now, we are reading Ayn Rand's novel The Fountainhead. Reading Rand reminds me how Rand's individualist ethics rests upon the sort of biological teleology that I have defended as part of "Darwinian natural right." The best statement of Rand's ethics is "The Objectivist Ethics," the first chapter of The Virtue of Selfishness. In that essay, she declares: "It is only the concept of 'Life' that makes the concept of 'Value' possible. It is only to a living entity that things can be good or evil." Inanimate entities cannot have any values because they have nothing to gain or lose. But living organisms have values because they have the capacity for self-generated, self-directed action. "Life can be kept in existence only by a constant process of self-sustaining action. The goal of that action, the ultimate value which, to be kept, must be gained through its every moment, is the organism's life. "An ultimate value is that final goal or end to which all lesser goals are the means--and it sets the standard by which all lesser goals are evaluated. An organism's life is its standard of value: that which furthers its life is the good, that which threatens it is the evil." It is often assumed that modern science denies any teleological conception of nature and therefore denies the teleological basis for Aristotelian natural right. Leo Strauss suggested this, for example, at the beginning of Natural Right and History. But I have argued--in Darwinian Natural Right--that Darwinian science actually supports a modern biological conception of teleology. By natural selection, living organisms are designed for survival and reproduction, and thus they are designed for goals or purposes. Some animals pursue their goals consciously. Human beings pursue their goals through conscious reasoning. As Rand puts it, man is "a specific organism of a specific nature that requires specific actions to sustain his life." "Since reason is man's basic means of survival, that which is proper to the life of a rational being is the good; that which negates, opposes or destroys it is the evil." The Darwinian basis for Rand's ethics as rooted in biological teleology is elaborated in some of the writings of Harry Binswanger--particularly, his book The Biological Basis of Teleological Concepts and his article "Life-based Teleology and the Foundation of Ethics" in The Monist (January 1992). Binswanger shows how ethics presupposes the goal-directed action of all living organisms as products of natural selection, and "where there are goals of any sort, life as an ultimate goal is presupposed." We reach the realm of ethics in the strict sense when we come to human volition. Unlike plants and animals, human beings must deliberately choose to pursue their goals over their entire life-span. And their fundamental choice is between courses of action that are life-denying and those that are life-affirming. The drama of Rand's fiction turns on this choice. Some of my previous posts on the biological teleology of ethics can be found here, here, here, here, and here.